For specific questions about BYU-Pathway Worldwide, visit our FAQ. The First Presidency of The Church of Jesus Christ of Latter-day Saints has announced the creation of a global higher-education organization, BYU–Pathway Worldwide (BYU–PW). The institution will have responsibility for all online certificate and degree programs offered by the Church Educational System (CES). Clark G. Gilbert, current president of BYU–Idaho, will oversee this new organization. BYU–Pathway Worldwide will be based in Salt Lake City, Utah, and will begin operating May 1, 2017. President Dieter F. Uchtdorf, second counselor in the First Presidency, made these announcements Tuesday during a press conference on Temple Square. 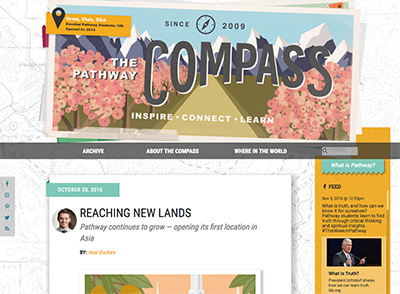 BYU–Pathway Worldwide has its roots in BYU–Idaho’s PathwayConnect program, which began in 2009 with 50 total students at three pilot sites in Idaho, Arizona and New York. The program has since expanded to nearly 500 sites in 50 countries and has served 57,000 students. Gilbert’s previous experience in mentoring students, navigating the ever-changing world of communication technology and building and leading large organizations makes him a sound fit to head BYU–PW. He left a faculty position at Harvard Business School in 2006 to work in student services at BYU–Idaho. Since then he has filled assignments as CEO of Deseret Digital Media (2009), president of Deseret News (2010) and president of BYU–Idaho (2015). BYU–Pathway Worldwide is responsible for PathwayConnect and will coordinate all other CES online higher education certificate and degree programs, including English language certification, technical and skills-based certificates, and online degrees. BYU–PW will determine which online courses and programs students need and will coordinate the development and implementation of appropriate online courses and programs by CES institutions. BYU–PW will not seek institutional accreditation. The programs it offers will be accredited through the existing CES institutions that already grant the certificates and degrees offered. 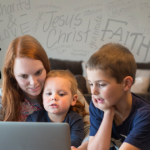 As the principal point of access for students seeking CES online programs, BYU–PW will create and manage an online system for student services. The online system will allow students to access information about online courses and programs, apply, register, take courses and access advising and career services in one online location. A key feature of BYU–PW’s programs will be the combination of online learning and local gathering activities. Students will come together at a local institute or chapel in approved PathwayConnect sites for religious education, group discussions and workshops. There are currently 497 active PathwayConnect locations worldwide. BYU–PW will manage those sites and the gathering activities that take place in them. This will involve working with local Church leaders and institute directors to open new sites approved by the Board of Education and to ensure that ongoing programs serve the spiritual and temporal needs of the students. BYU–PW will also be responsible for local workshops and classes, advising students and helping them find local internships and jobs. Visit byupathway.lds.org for more information. This news release comes directly from the Church Newsroom. 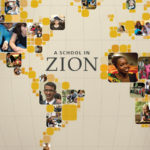 An FAQ regarding the announcement of BYU-Pathway Worldwide is also available.